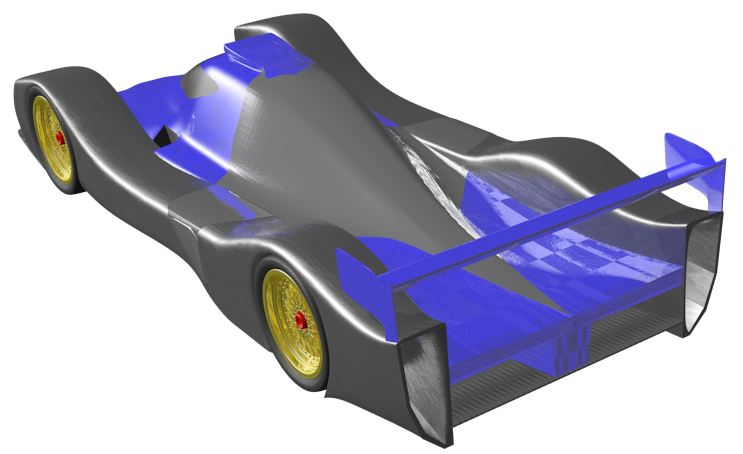 With the tools and engineering experience available at MANTIUMCAE , the aerodynamic performance of any kind of device can be analyzed and improved. After a first simulation, forces and force distributions will be analyzed and performance indicators will be defined. Further design iterations will then be assessed against these indicators. Like most race cars the MantiumRacer is in need of more downforce. A simple CFD simulation should help identify areas which need improvement. 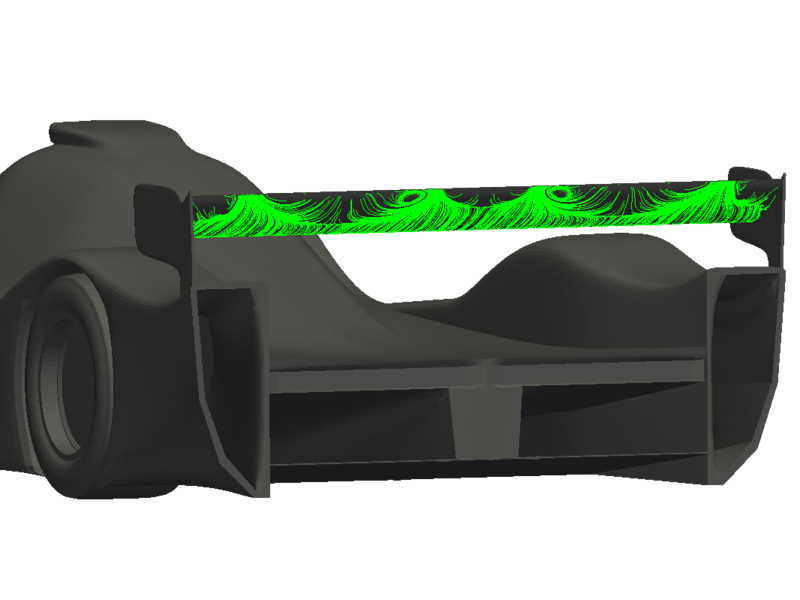 This visualization of surface stream lines indicate massive flow separations on the rear wing. Using a multi-element rear wing shows a much better picture as the flow does not seem to separate anymore. As only hard numbers matter, these have to be analyzed as well. In this case the new rear wing delivers much more downforce with a small increase in drag. 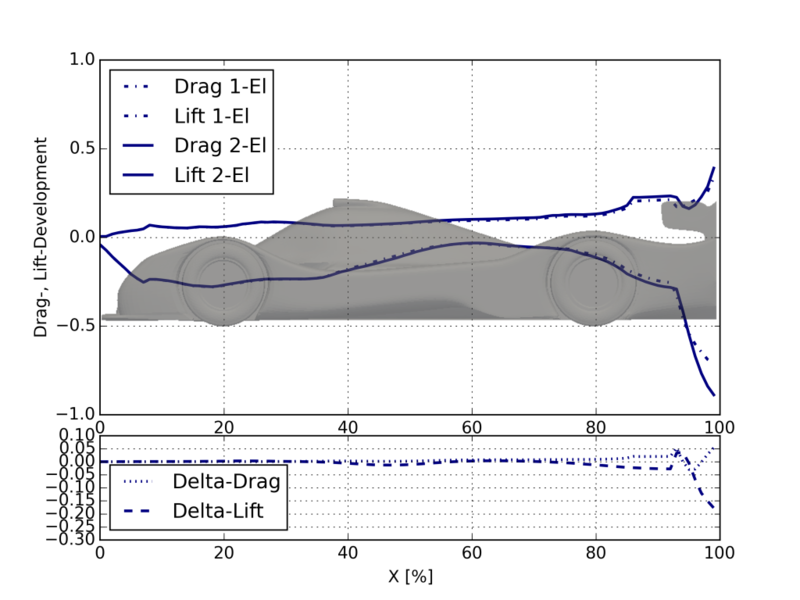 As the wing does not seem to affect the rest of the vehicle’s aerodynamics it can be used to adjust the lift-balance. your products, please contact us.